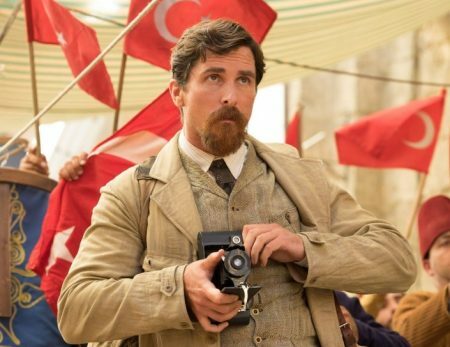 In the new film The Promise, opening Friday and set in 1915 against the backdrop of the Armenian Genocide, Christian Bale plays Chris Myers, an Associated Press reporter based in Paris. It’s a fictitious composite, inspired in part by the work of that era’s AP Constantinople correspondent J. Damon Theron. Bale’s portrayal in the movie is almost certainly the most starry, most heroic and most hard-drinking big-screen depiction of the AP in its 171-year history. But if the AP has seldom received its silver-screen close-up, it has at least struck the jackpot in the Oscar-winner Bale. Not only is he one of the most respected actors in film, he’s just a touch more glamorous than most in the AP newsroom. Ha ha. You can say that again. Although this continues the recent mini-trend of former Batman’s playing upstanding reporters, following Michael Keaton’s work in Spotlight. Per Coyle, Bale was encouraged by writer-director Terry George to look at the work of Christopher Hitchens; he also zeroed in during research for the role on the life and legacy of Lincoln Steffens. 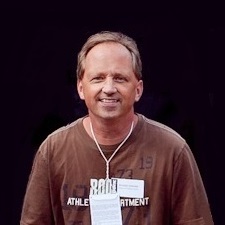 A biography of Steffens was published in 2011.